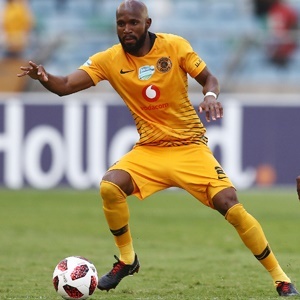 Cape Town - Kaizer Chiefs right-back Ramahlwe Mphahlele has revealed the club are targeting CAF Champions League or CAF Confederations Cup football in 2019/20. The experienced defender believes the side are capable of climbing the standings and finishing in a position in which they can qualify for either competition. The Glamour Boys are all but out of the Premiership title race as they trail leaders Mamelodi Sundowns by eight points and only six matches remain. Nonetheless, Chiefs can also qualify for the CCC if they were to win the Nedbank Cup. Currently, the outfit from Naturena are in the semi-finals where they will come up against Chippa United on 20 April at the Nelson Mandela Bay Stadium in Port Elizabeth. Mphahlele said: "I'm sure if we push hard in these remaining games, as well as the Nedbank Cup games, we have a chance of finishing in a better position. "That's what we will do, and obviously we want to win the Nedbank, it's not a secret. "We'll do everything in our powers to win it and, if we win it, we go to Africa [CAF Confederation Cup]. If we finish better in the league, we still go to Africa and that's what we want. "Better is [number] one, of course. It would be great if we win the league. I don't really want to dwell much on the league issue. Like I said, we want to push in the remaining games and see where we end. "If we push hard enough in the remaining games and win them, or draw or whatever, wherever we're going to end up, that, for us, will be better because we actually pushed hard and didn't lose games." Chiefs next outing in the league is against Baroka on Saturday evening.